The Champions is found in Mathare, one of the oldest slums in Nairobi and the second largest in Kenya, with a population of up to 700,000. The slum is 7 km away from the city on the Eastern side. The poor inhabit it and criminal activities are a common feature. 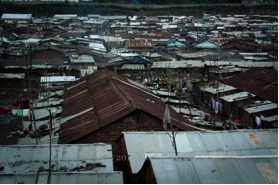 The slum is 5 sq km, thus housing is a major problem. A house is either made of mud or old iron sheets of room measuring 6 by 8 and accommodates up to 10 people. The temporary structures are unplanned with poor basic infrastructure. The entire slum has no government run hospital and only two government schools. It also lacks proper churches to reach out to the spiritual needs of the children and their families which in turn encourage the quacks and cult churches. Hard drug use is rampant among the youth and illegal hard alcoholic brews such as changaa or cannabis sativa is common. Conflicts between ethnic communities, fires, outbreak of contagious diseases and so much more are very common here and thus families are quite often displaced ending up with no home, food or even basic necessities. Vices like crime, prostitution, illegal brews are among the top activities people engage themselves in here in order to earn a living. There are a few that are employed but they work as night watchmen, casual laborers, messengers in construction sites and such kind of jobs. These are never permanent and therefore job lose is very high. One of the key strategies to empower the community is to educate their children. By this the families should become fully responsible for their own lives. This is done through offering quality and affordable education to the children and vocational training to the parents and the community. Youth friendly activists are also organized once in a while, like soccer tournaments, seminars/training on life skills, behavior change, and entrepreneurship among others. An Educated Child, Empowered and Independent Generation. Mold and Develop a child through quality education, empower the community through life skills/vocational trainings, to be responsible for their own lives. Ronnymayer Okuta – Ronny is a young boy born in the year 2000 and very determined to achieve the best in his studies. Ronny has known no peace and joy since his father lost his job. They used to live in a good environment and attend good school. But after the tragedy they moved to Mathare slums where Ronny and his family had to start a new life without food, proper shelter and above all school. Ronny is determined and loves school very much. He stayed at home for a whole year without going to school. He got back in school when The Champions came along and sponsored him. 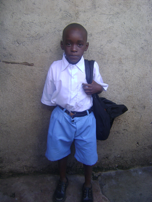 He says this was the happiest day of his life since he is able to go to school now and learn things like his friends. Ronny desires to be a doctor. Joyline Achieng – Joy is a young, beautiful girl aged 5. She lives with her family in Mathare, where she was born and has been raised. She has known no life other than the life in the slums. Joy’s parents separated immediately after she was born. Joy’s mother says she has desired to get her children through school but is unable to due to the large family needs. Joy is the last born in a family of five, her mother sells vegetables to be able to sustain the family. The money she gets from the sells is too little even to provide the family with three meals a day. Joy is used to having one meal a day and that is not guaranteed. Her sisters are all out of school, with the eldest, 16 years married off. 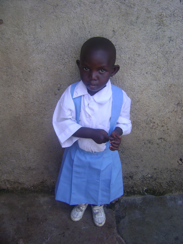 Joy is however lucky since she was sponsored by The Champions and is currently in school. Her mother is quite happy and wishes her all the best now that she is lucky to go back to school. Joy would like to be a teacher. Posted by Thomas on Sunday, April 18th, 2010 at 12:00 pm and tagged Project, The Campions.